Ascension of Christ. 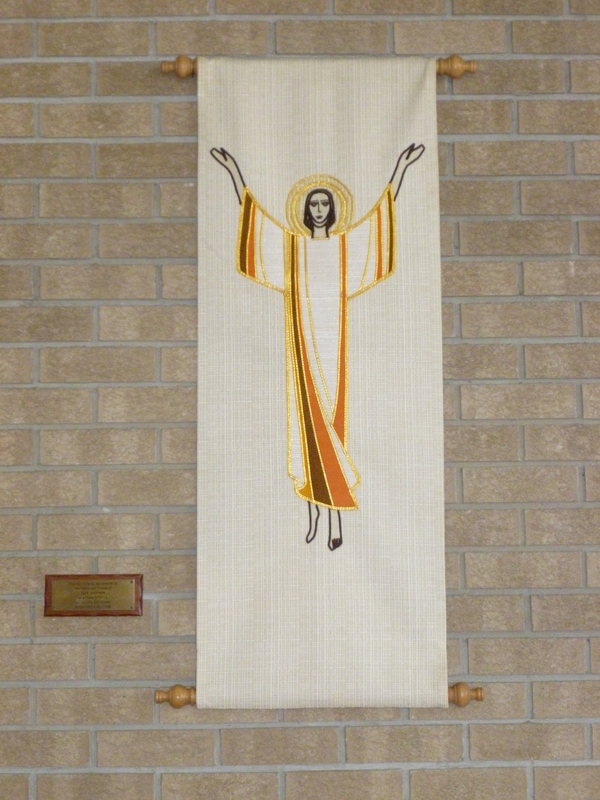 Wall hanging in memory of Elsie Cheetham (1933-1986). Sanctuary. ‘Away in a Manger’. Embroidery. Sanctuary. 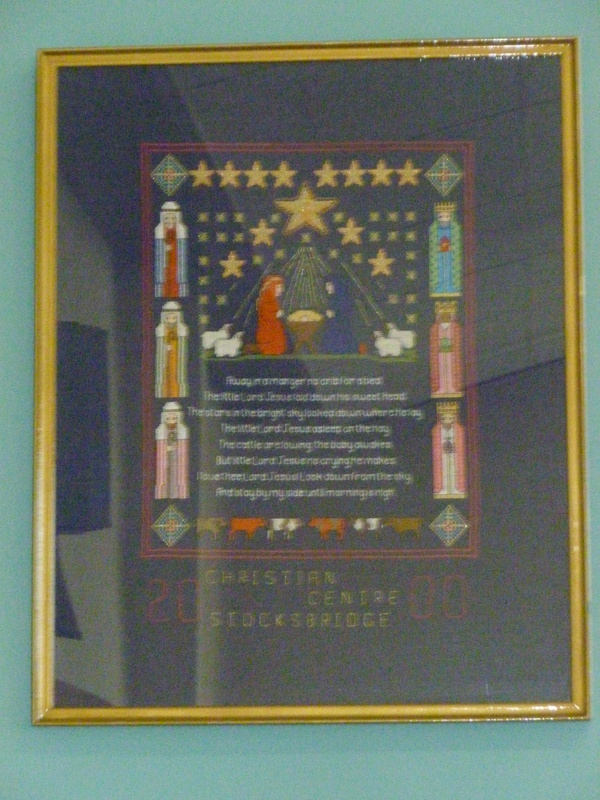 Work created by Margaret Derbyshire, a member of the congregation, for the Millennium in 2000. 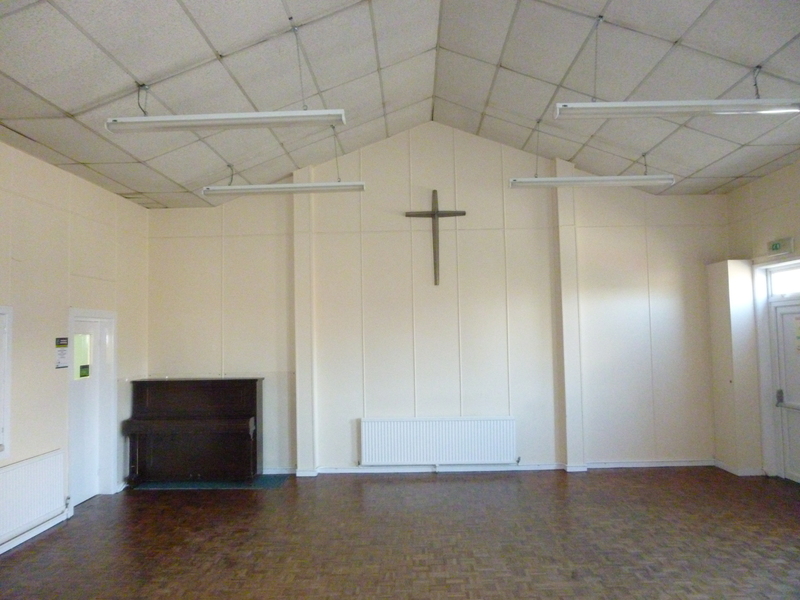 Church Hall Cross. Samuel Fox Stainless Steel. Made by apprentices of Belmont House Works Training Centre. C. 1972. 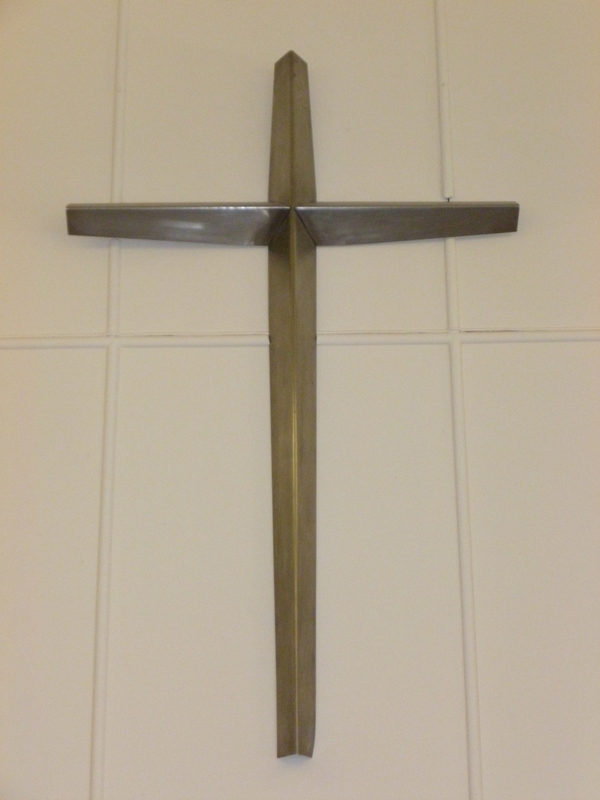 Church Hall Cross. (far view) Made of Samuel Fox Stainless Steel. C. 1972. Vestry cross. 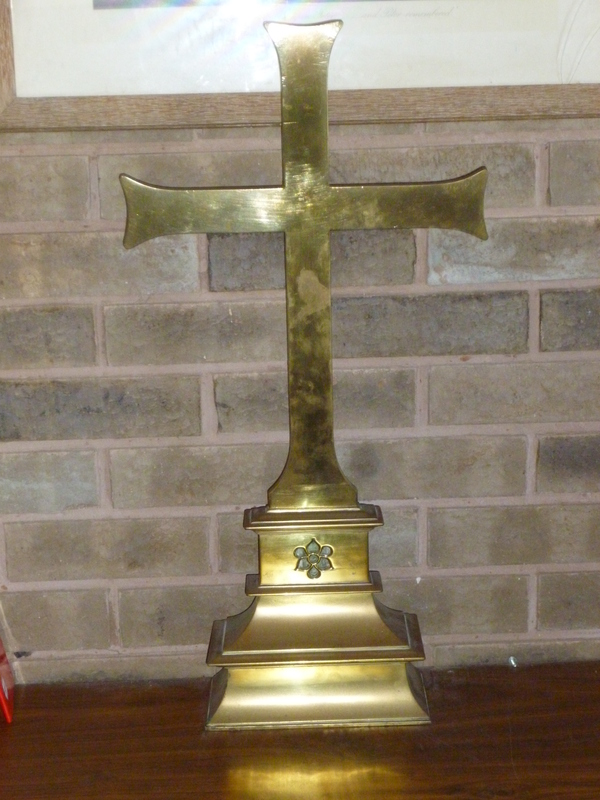 Gift of St. Thomas and St. James Parish Church, Worsborough to the Christian Centre in July, 1978. Originally gifted to St. James Church (merged with St. Thomas in 1974) on Easter Day, 1872. 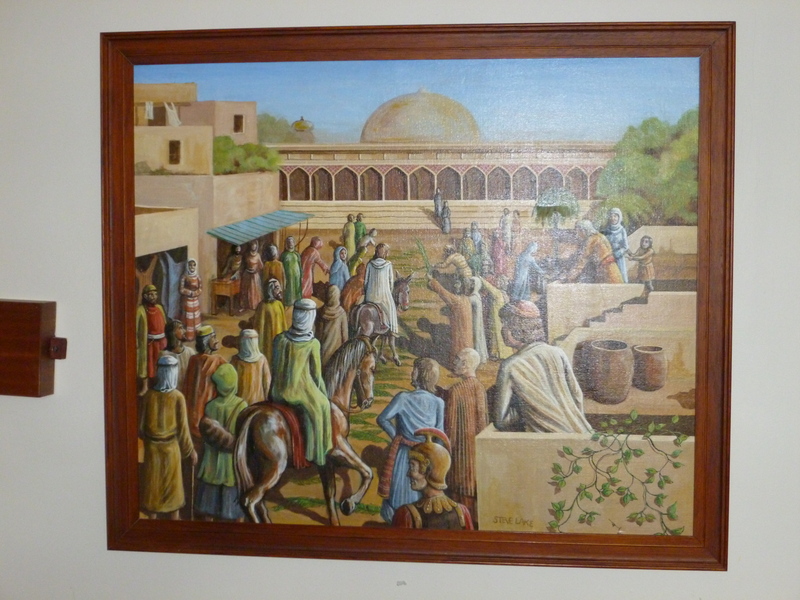 ‘Triumphal Entry of Jesus into Jerusalem’. Oil painting. Gift of local artist, Steve Lake (1944-2018). Date ? ?